The first quarter of 2019 saw a sharp rebound in the U.S. stock market in its strongest single quarter since 2009. The fourth quarter of 2018 brought a sharp downturn for the U.S. stock market on concerns about slowing global growth, the effects of Fed interest rate increases, trade disputes and a partial government shutdown. Investing in a well-diversified portfolio is part of a strategic asset allocation plan and can help investors to withstand periods of market volatility. Tax season may be months away, but now is a perfect time to check on your investments and review your plan. Taking a moment to review your risk profile can help prepare you for when the next “market correction” arrives. The market environment in Q3 was marked by a widening divergence in performance between U.S. and international investments. In these periods, it's important to stay focused on your longer-term goals and avoid the temptation to chase after the strongest performing asset class. Financial markets are volatile by nature. By diversifying across geographies and asset classes, you can help increase your chances of being invested in whichever asset class is leading at any given time. Market volatility returned in October with a vengeance following a strong advance for the U.S. stock market since early May. While short-term volatility can be unsettling, it’s important to remember that staying diversified and focused on your longer-term goals as different asset classes move up and down the performance rankings are among the keys to long-term investment success. While not as volatile as the first quarter, Q2 saw markets continue to swing higher and lower—with diversification again helping to moderate the ups and downs. Here are three key questions investors may have about fundamental indexing, its rise in popularity and its potential benefits. Smart beta is a growing category of index-based strategies that take a different approach than traditional market-cap strategies. Market volatility can cause anxiety for investors. But it's important to step back during these periods of turbulence to put things in perspective. In Q1, a rise in volatility brought about the first market correction in two years, but even though the quarter was challenging for financial markets, broad diversification helped moderate portfolio declines across the risk spectrum. Concerned about bumpy markets? Consider some of the following tips. Here is what the Fed's interest-rate increase may mean for you. With tax-loss harvesting, you can take advantage of market volatility to offset capital gains. Learn how to keep your portfolio's risk exposure consistent over time through regular rebalancing. Learn about important tax documents and where to find them on the Schwab Intelligent Portfolios website. For both Q4 and 2017, all portfolios across the risk spectrum again delivered positive returns. With equity markets posting their strongest gains in several years, the most aggressive portfolios were the strongest performers due to their larger allocations to stocks and non-traditional bonds such as emerging markets debt and high-yield bonds. More conservative portfolios saw more moderate gains while also delivering their intended lower volatility. Schwab Intelligent Portfolios® has been the top-performing robo-advisor over the past year, according to data from Backend Benchmarking. Tax-advantaged retirement accounts such as IRAs provide a powerful way to save and invest for retirement. But after you’ve worked hard to grow your investments over time, don’t forget that you’re eventually required to take minimum withdrawals from these accounts. Schwab Intelligent Portfolios® follows the industry standard of calculating and reporting time-weighted return percentages. All portfolios across the risk spectrum again delivered positive returns for Q3 and YTD 2017. With equity markets continuing to advance during the quarter, the most aggressive portfolios were the strongest performers due to their larger allocations to stocks and non-traditional bonds such as emerging markets debt and high-yield bonds. What Type of Account Should I Open with Schwab Intelligent Portfolios®? Unsure about which Schwab Intelligent Portfolios™ account is appropriate for you? Consider your options. Index investing has seen tremendous growth in recent years as investors increasingly recognize its benefits. ETFs' rapid growth has some market observers wondering if they pose a risk to the market. We don’t think so. Goal Tracker, is a tool that helps Schwab Intelligent Portfolios clients quickly and easily monitor how they're progressing towards a savings or income goal. After several years of U.S. performance leadership, international investments have taken the lead in 2017. As you’re saving for the future, it’s important to determine your risk tolerance and shape your investing strategy accordingly. The Fed appears poised for an interest rate increase this month. How have markets reacted to rising interest rate environments historically? Designating at least one beneficiary for all of your accounts helps protect your estate and gives you peace of mind. Investing set amounts at regular intervals over time—also known as dollar cost averaging—can help you manage timing risk and stick to your long-term plan. You can now use Schwab Intelligent Portfolios® to help keep track of retirement income and withdrawals. What Do Recent Market Gains Mean For Your Portfolio? The Dow Jones Industrial Average recently reached a milestone 20,000 points. So what does that mean for you and your investments? How Do I Know If I Own Index Funds? Many investors prefer index funds because of the diversification they provide, their tendency to be tax efficient and their relatively low costs. But how do you know if they’re part of your portfolio? Schwab Intelligent Portfolios uses the power of technology to simplify investing and reduce costs for individual investors, while staying true to Charles Schwab’s principles. As part of a diversified portfolio, cash can help reduce risk without necessarily sacrificing overall portfolio returns. Fundamental index strategies have helped the performance of Schwab Intelligent Portfolios™ during 2016. Understanding wash-sale rules could help you avoid a costly mistake. One way you can fine-tune your savings plan is by using "buckets" for different goals. "Junk bonds" have historically outperformed Treasuries over time while exhibiting less volatility than stocks. You can think of asset classes in your portfolio like the role players on a basketball team. Investments with higher expected returns tend to be riskier, and even conservative portfolios can experience short-term losses. Longevity risk is the chance you'll outlive your retirement savings. The first step toward combating it: considering how long you're likely to live. It's easy to overlook bonds when the stock market is up and you're 30 to 40 years away from retirement. But does that mean you should forget about bonds altogether? Estate planning isn’t nearly as difficult or daunting as many people think. Over time, even small investment gains can add up due to the power of compounding. Creating income during retirement may sound daunting, but it doesn’t have to be. Here’s how to help determine how much money you’ll need. If your financial goals have changed, it may be time to review your risk tolerance and make adjustments to reflect your current situation. Tax season tip: By changing the timing of your contributions, you may help your IRA grow more over time—without investing a penny extra. The S&P 500® Index may be the most familiar, but considering other indices can offer a clearer picture of how different asset classes are performing. Schwab Intelligent Portfolios is a year old today—and what a great first year it has been! Considering investing in gold? With several notable qualities, gold has shown it can provide unique benefits to a well-diversified portfolio. An ETF's past performance is typically just an indication of the performance of its benchmark. The temptation to focus your investments on companies or products that you already know and like is understandable. But does it make sense? Over the past 30 years, stocks posted an average annual return of 10.4%, and bonds 6.8%. But actual returns varied widely from year to year. It's tempting to want to wait out bouts of market volatility, but that seemingly "safe" strategy isn't without risk. Even if you have a 401(k) retirement plan, it may make sense to have an IRA as well, especially if you qualify for extra tax deductions or your workplace plan has limited options. What Do You Want to Do in 2016? Whatever you're planning to accomplish in the year ahead, following a few key investing principles may help. Will You Hit Your Savings Target? The Schwab Intelligent Portfolios™ Goal Tracker can help project how your portfolio might perform as well as help monitor progress towards a savings goal. Will you outlive your money? The Schwab Intelligent Portfolios™ Goal Tracker can help project how long your portfolio is likely to last and can help monitor progress. Many people don’t get a chance to start saving for retirement until their 40s. If you didn’t, it’s not too late to start. How Does a Bond ETF Work? Here's an overview of what bond exchange-traded funds are and how they work. A financial windfall can be a life-changing event. Here are 5 things you can do to make the most of it. 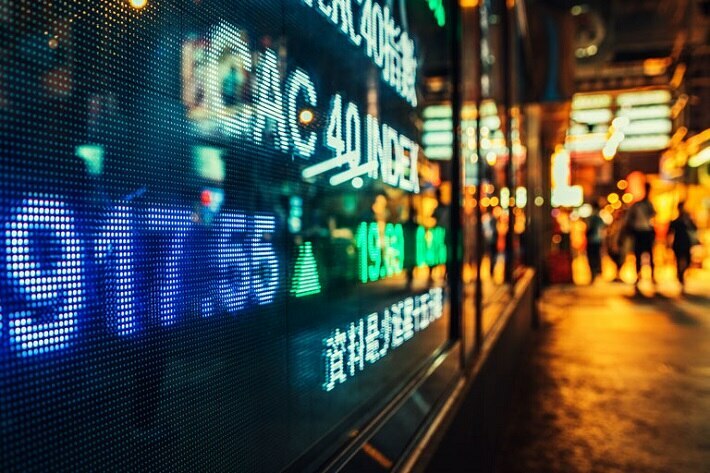 Including emerging market stocks, such as Chinese stocks, within an investment portfolio could provide an important source of return and diversification. Don't let a decision—or lack of one—about your 401(k) plan end up costing you money. With a new baby comes future milestones for which you will want to be prepared. Here are five tips for new parents on how to keep your finances on track. You may be exposing your portfolio to more risk than you realize if your employer stock allocation grows to a level that alters your total asset allocation. Investing in international securities provides you with greater diversification, growth potential and currency opportunities you won’t get with domestic-only investments. As you save for retirement, here is some guidance for choosing between a Roth and traditional IRA. Why Would You Sell Your Best Investments? Find out about the basics of rebalancing—a basic form of "portfolio hygiene" that can help keep your asset allocation aligned with your risk tolerance. Many investors are attracted to index funds because of the diversification they provide, their tendency to be tax efficient and their relatively low costs. ETFs are similar to mutual funds, but there are key differences. Learn about fundamentally weighted ETFs, including how they differ from traditional market-cap weighted ETFs. Financial planning is a critical conversation to have as a couple. Learn how to have an ongoing, honest conversation about your finances. Get up-to-date investment news and information from Schwab Intelligent Portfolios. Schwab Intelligent Portfolios can make it easier to build a well-diversified portfolio to help you generate a steady, long-lasting income stream. See how Schwab Intelligent Portfolios works – and helps keep your goals on track. Schwab Intelligent Portfolios™ provides you with a convenient way to invest and save for an investment goal. The goal can be to accumulate savings, or to take distributions for an income need. An overview of asset classes including the role each plays in a portfolio, when they tend to perform well and poorly, and some interesting facts. The benefits and mechanics of automated tax-loss harvesting and rebalancing. 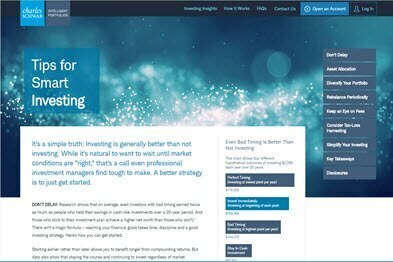 The principles behind our investment philosophy and modern approach to asset allocation. 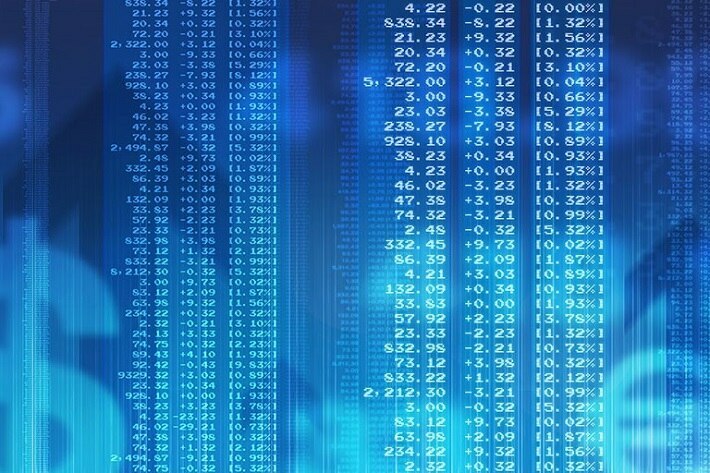 The methodology behind the IPQ and how your responses are used to calculate risk scores and identify an appropriate portfolio.